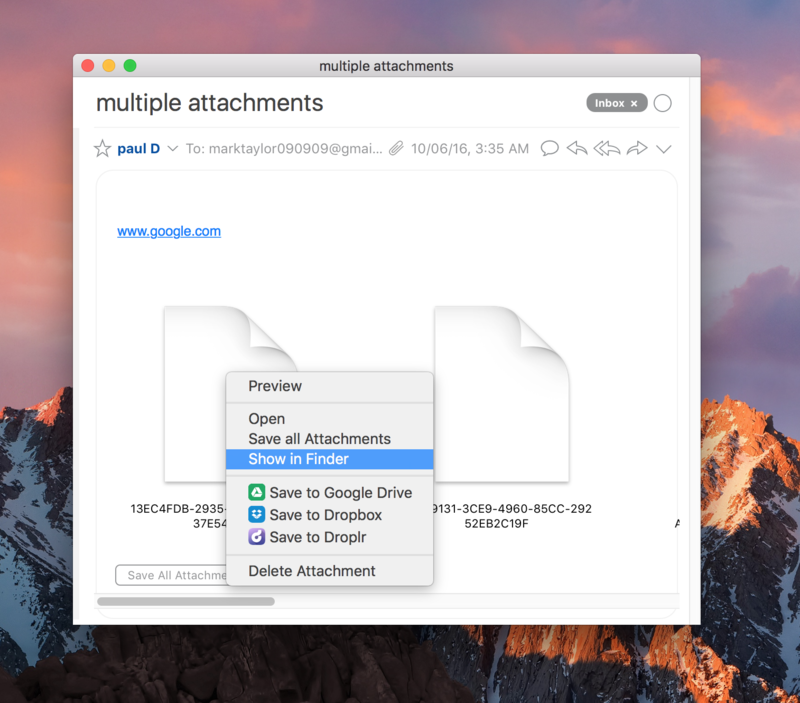 First, open the email that contains the attachment. You should see it at the bottom of the email. Right click the attachment icon and click ‘Show in Finder’.